But I can guarantee you won’t be able to stop snacking on it after its done. 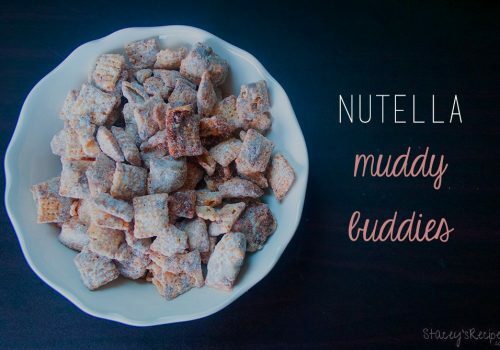 I’ve made a few muddy buddy recipes in the past like these Halloween Muddy Buddies, or my favorite Nutella Muddy Buddies. 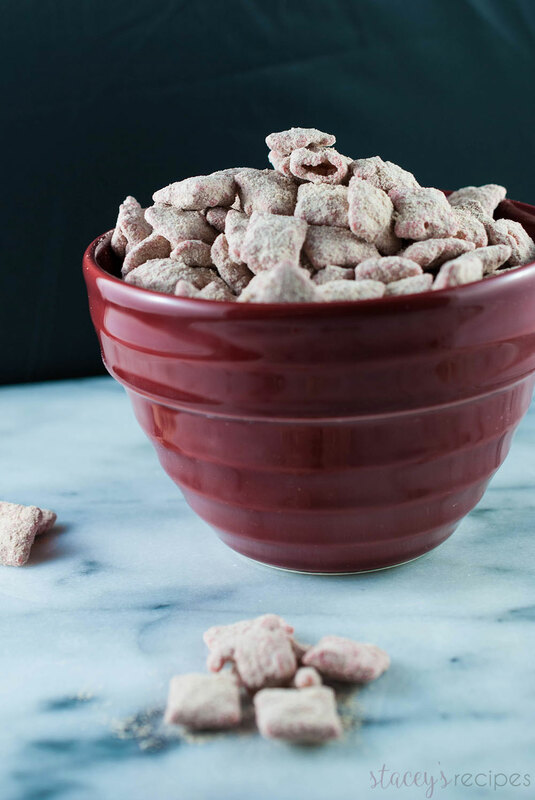 If you haven’t made or heard of muddy buddies yet – aka puppy chow, but I’m always worries people will take that literally and either feed them to their pups, or think its absolutely insane – you’re missing out. This may be one of the easiest, most addicting snacks ever. 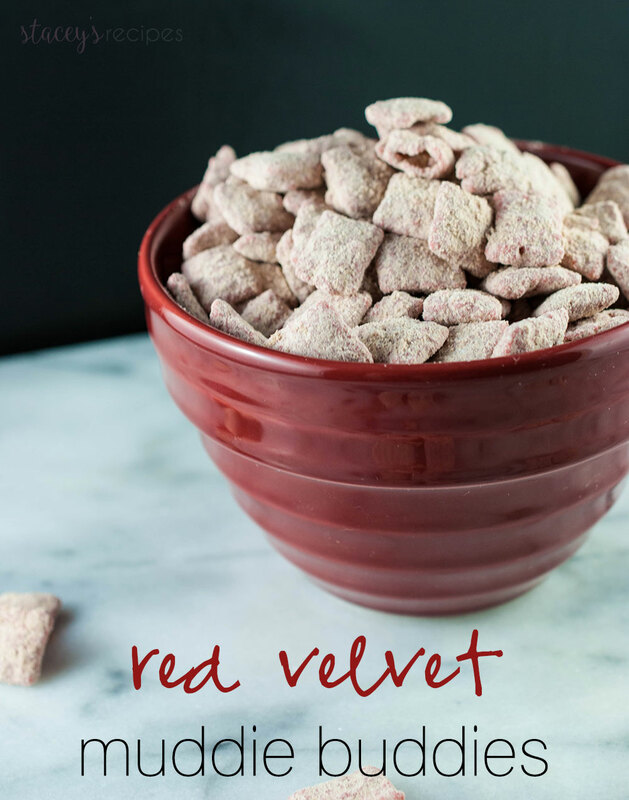 Like I said above this ‘recipe’ calls for 5 ingredients – chex cereal, red candy melts (found at stores like Michaels), white chocolate melts, red velvet cake mix and icing sugar. The flavor isn’t over whelming – just enough chocolatey flavor to get your daily fix. You do have a daily chocolate fix right? Maybe its just the pregnancy cravings talking there. 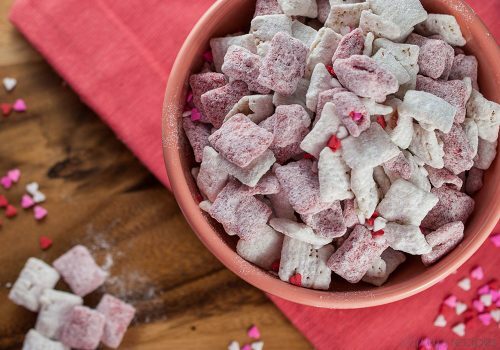 *Normally muddie buddies would be gluten-free, but as I used a cake mix for the coating instead of just icing sugar – they are no longer gluten free. Let me know if you’ve come up with a gluten-free version! 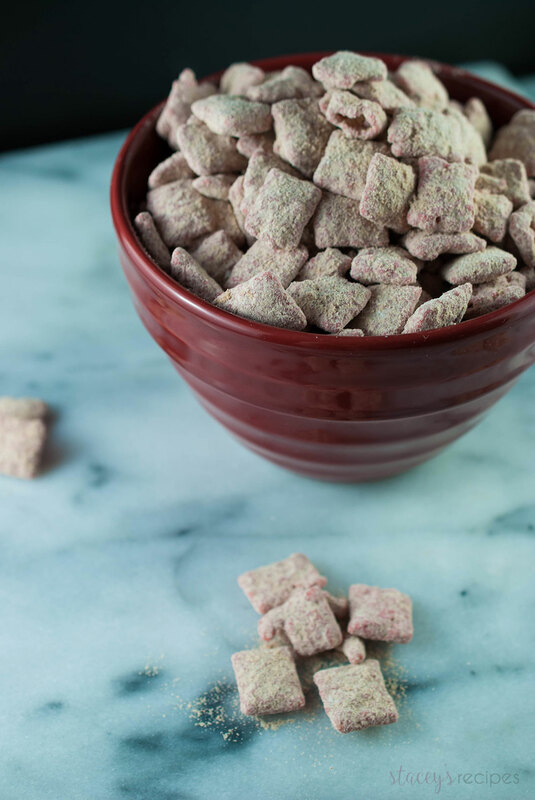 Measure out your Chex cereal in a medium bowl - set aside. 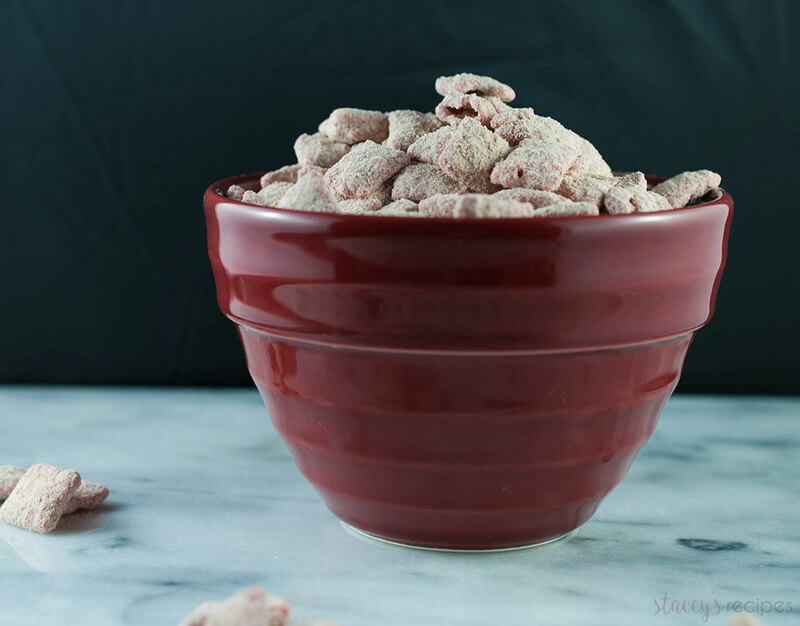 In a large Ziplock Bag mix together the Red Velvet cake mix and icing sugar. - set aside. 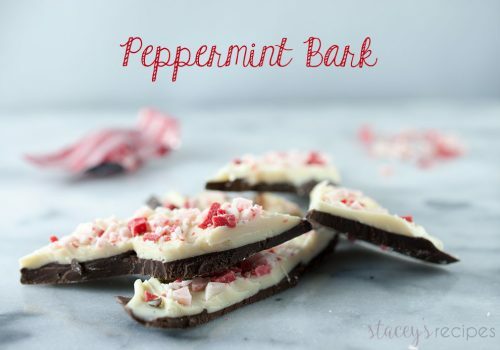 Melt your red candy melts with the white chocolate melts in the microwave for 30 seconds - remove and stir. Place back in the microwave for another 30 seconds. Make sure the chocolate it thoroughly mixed and pour over your Chex cereal. Carefully stir the cereal with a spatula until its fully coated in chocolate. Pour the cereal into the large Ziplock bag. Make sure the bag is fully sealed before you coat your chocolate coated cereal in the icing sugar mixture. Thanks! 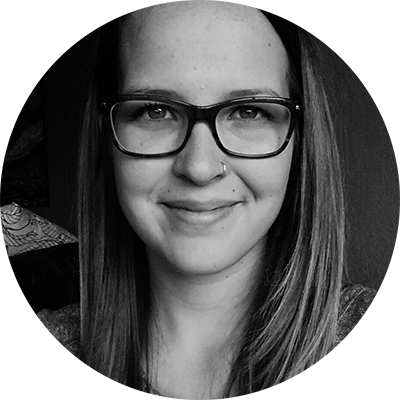 🙂 It was, and it definitely won’t be the last time – it’s become a new favorite! what is icing sugar,where can I get?